Bring forth Godly character in this up and coming generation that will positively affect our neighborhood, city, state and nation. 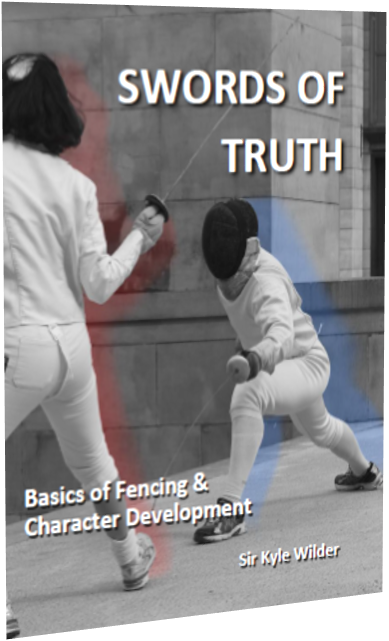 To offer classical fencing to our target demographics, while developing positive character traits during every session, with zero or minimal cost to the participants. To incorporate the positive reinforcement and growth of each participant’s character traits. Including parents, teachers and the church members to report back when they observe these traits being exhibited. This unique opportunity blends their love for fencing and passion for developing positive character in this up and coming generation. Kyle and his wife Stacy have been working with young people for well over 20 years. 12 years ago, they began fencing as both a hobby and a recreational exercise to do as a couple. They fell in love with the sport, and the positive effect it was having on the young people participating in the fencing club. Fencing re-introduces, re-enforces, and restores the character traits that are fundamental for life. Kyle is not only involved with the fencing club, but also is instrumental in developing and running fencing programs in both a local public high school and a homeschool organization, where he has seen many youth develop into extraordinary adults. We have developed our own workbook that every student will receive in an eight week session. The book included eight personal character traits and worksheets, illustrated moves and techniques of fencing to practice at home. Eight weekly sessions will include fencing foundations, skills and character development. Once it is ready we will be posting location and times.